It's early to be thinking about summer 2019, but the Naked European Walking Tour gets arranged well ahead of time. Registration is already open! I went on the NEWT2017 trip and I highly recommend it; three of us from the New England area are already signed up for next year. It's always in Austria, but never the same exact place, though it's certain to be somewhere with good hiking opportunities. You will be required to get yourself to the nearest railroad station, where you might get picked up by other participants with cars, or you'll be informed about local buses. Note how inexpensive this is--once you get to the location, it's just 210 euros for everything. Languages in the group are mostly English, French and German. Hiking trip organized in Austria during the summer of 2019 from Saturday 13 July 16h00 to Saturday 20 July 10h00- thanks to the initiative of Richard Foley who created this gathering over 10 years ago. The accommodation is in a chalet in rooms from 4 to 6 people. The price charged to each participant makes it possible to pay for the hiring of the chalet and the purchases of foodstuffs, hotel taxes, beer and wine: 210 euros for the week. PS places are limited depending on accommodation capacity. I remember that photo and your posts. Good trip. Long flight from here though. Your pictures certainly make for a good ad. Good to see it going from strength to strength. We went on the 2013 NEWT. I think that was Richard Foley's last NEWT wasn't it? My avatar was taken on the first full day when it was cold, windy and sometimes raining. It felt like Scotland and I loved it! It got too warm for me after that. "It felt like Scotland and I loved it! It got too warm for me after that." Duane, it really isn't out of reach. 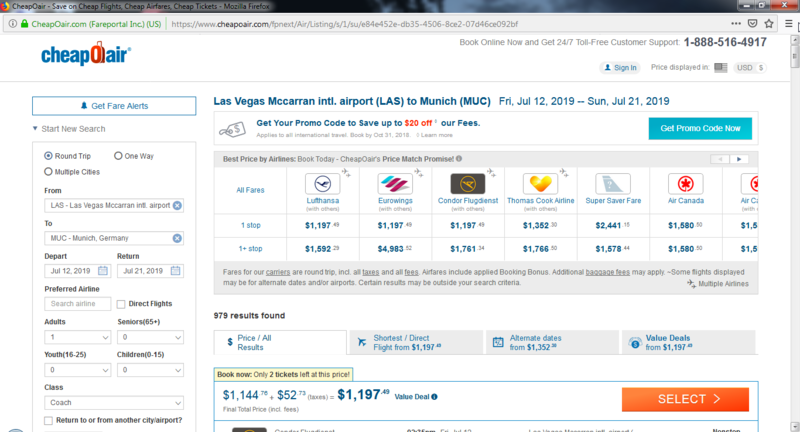 From Las Vegas to Munich, you only have to change planes once--an online site offered 3 different routes, via Chicago, Manchester (England) or Dusseldorf. Then from Munich, there are trains to most places in Austria. You'd love this, it's outdoor naturism, and naturist companionship, done in the best possible way! And there's also talk of an "After party party" in the form of more walking in Germany after the NEWT ends. I'm not sure if I'll do that. Karla, maybe with global warming, even Scotland isn't like Scotland any more. I thought that Richard just took a year off last year, but I don't actually know if he was back this year or if he intends to be on the trip next year. The first time I went was in 2014, and he was certainly in charge then! Actually that year it was definitely cooler than in 2017, but I think we were at higher elevation, with snow in a couple of places. Did I see that Richard and Sandra and the dogs (very important) have moved to Spain? Yeah we're facebook friends. We were hoping to fly out to Catalonia in October but left it too late and the prices went too high. I remember when they visited us in Scotland (actually we did a trip report about it which we need to get down to putting up on the main site). We were driving to do a local mountain and I was chatting to Sandra in (bad) German. Suddenly I felt a sneeze come on, I turned away and sneezed so violently snot splurted all over my face and hands. I then had to figure out how to explain it in German. Was snot 'Nasenschleim' in German? How do I say it has gone everywhere and I need a tissue? Hold on, what's German for tissue? Papier? I think in the end I explained that my nose had exploded. We soon got to one of the first mountains that Stuart and I had photographed and stripped naked. We stayed that way for the entire day. In the end it was just Richard and me still naked in the gloaming walking back to the car and I was NOT going to be the one to put clothes back on. Not on my own turf. Luckily Richard put his clothes back on about 20 minutes back to the car as the sun went down below the horizon, so I gave it a few minutes and put some on myself. Tread lightly upon the earth! Martin, that is excellent! I'll look forward to seeing you there. Everyone else, you still have time, but not a whole lot of it. This event gets booked up incredibly early. If you want travel advice, Munich is the nearest major airport to the area where NEWT is likely to be. Alternatively, you can get the train from London to Munich and do the whole trip in a day, though I'm not sure that you could get up into the mountains beyond Munich without an overnight stop. In 2017, we went to Lucerne and spent a day there, then another day on a leisurely trip to Austria by lake ferry, bus and train. There is an airport in Salzburg (the Wolfgang Amadeus Mozart airport, he would be so proud) which gets a daily flight from London on Ryanair. That's if you're willing to deal with Ryanair.